More proof that the Coriolus Versicolor and its main therapeutic component are worth considering when battling cancer and the side effects of the common treatments. Led by, Dorothy Cimino Brown from the University of Pennsylvania School of Veterinary Medicine, the researchers said the ‘promising findings’ offer hope that the compound may one day offer cancer patients — human and canine alike — a viable new ally in the battle against cancer. Based on the ultimate endpoints of how quickly the tumors progressed and how long dogs suffering from a natural form of cancer survived when given the supplement, the research team suggests that PSP supplementation may be effective in fighting the tumors. The results of the researchers’ trial suggest that the PSP supplement was effectively fighting the tumors. 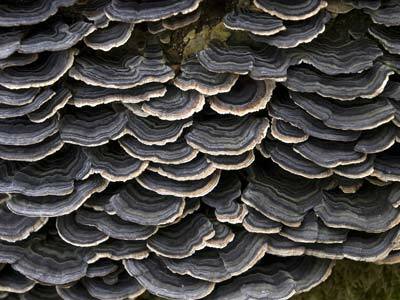 Mushroom compound may boost cancer survival: Animal data. Extensive background on PSP and the Coriolus versicolor medicinal mushroom can be found here. Supplement facts. Background, deception, qualities and dangers of dietary supplements. Excellent article about how to distinguish the good from the bad supplements: bioavailability, natural, organic… everything is covered on this blog. Highly recommended!! Supplement facts. Background, deception, qualities and dangers of dietary supplements..